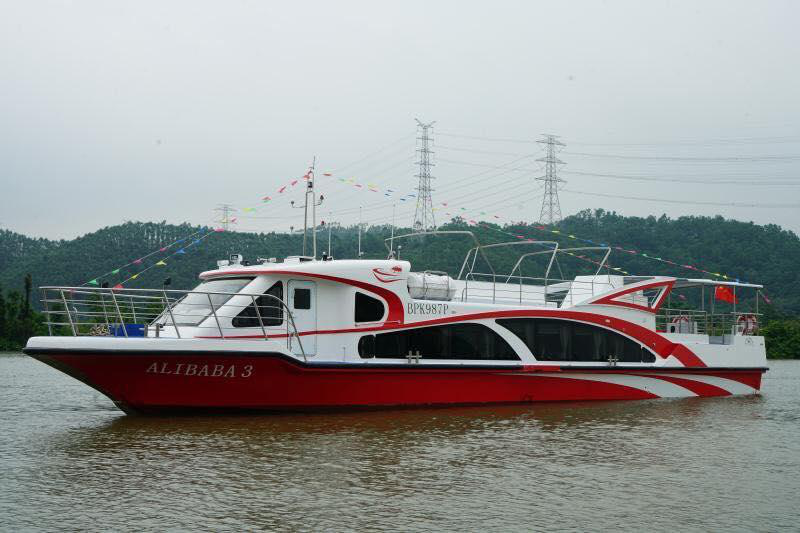 Alibaba Pulau Ketam Cruises Services Sdn Bhd is a sea transportation operator based in Malaysia. Located at Pelabuhan Selatan of Port Klang in the state of Selangor, the name Pulau Ketam means “crab island” by the coast of the south port. Pulau Ketam houses two Chinese fishing villages during the 1880’s, which is still one of the main attractions for until today. The ferry ticket prices Pulau Ketam by Alibaba Pulau Ketam Cruises are available conveniently on Easybook today. The main village is simply known as Pulau Ketam on the southern side, while the other one is called Sungai Lima which means “Fifth River” over at the northeastern side. Mangrove swamps also cover a large portion of the island as well as home for the Orang Asli community. Upon visiting Pulau Ketam by ferry, visitors will also notice the people consists of Teochew and Hokkien Chinese, so Teochew, Hokkien and Mandarin dialects are widely used here. Read on to find out how to go to Pulau Ketam. The ferry to Jeti Pulau Ketam leaves every hour from 8:30 AM onwards with last departure at 6:30 PM from Port Klang. For Alibaba Pulau Ketam Cruises leaving from Jeti Pulau Ketam, the ferry schedule starts as early as 7:30 AM to Port Klang with the last trip departure at 5:30 PM. For this route, there are two trips available from both jetties each day. From Port Klang, departures are at 10:30 AM and 6:30 PM, while trips those leaving from Jeti Sungai Lima are available at 1:30 PM and 4:30 PM. Each trip through the mangrove swamp jungle takes approximately 35 minutes to arrive at the destination, but this will depend on the weather or sea condition as well. 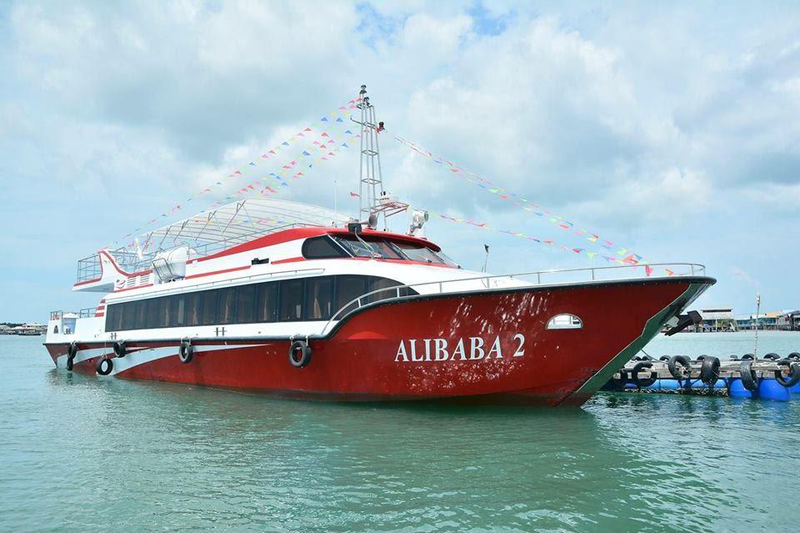 All the ferry tickets for Alibaba Pulau Ketam Cruises that are available at affordable fares in order for adults or children to travel with ease to enjoy a new travel experience. Take a day trip with family members by ferry to Pulau Ketam to escape the everyday busy city life. Book a hotel nearby in order to explore what the island has to offer. 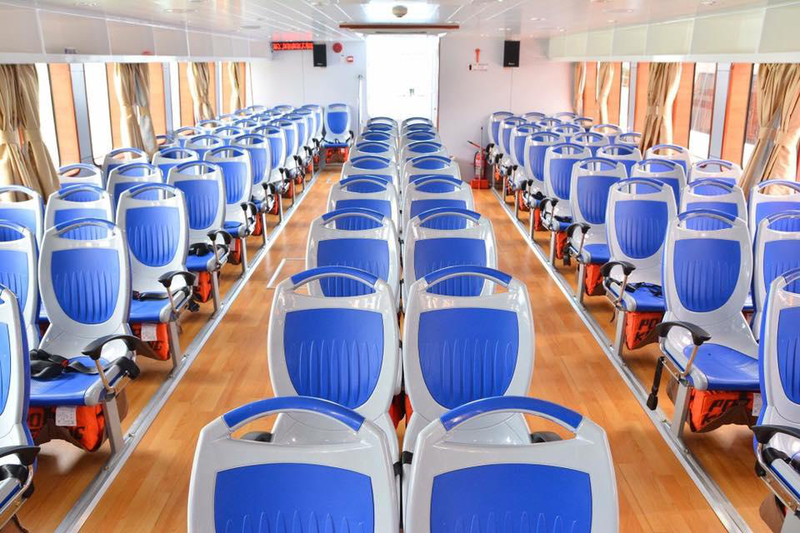 Each air-conditioned Alibaba Pulau Ketam ferry can accommodate more than 100 passengers in the cabin. Safety is the main priority for Alibaba Pulau Ketam, as well as the comfort for children and elders. Enjoy the breeze and sun at the open-air viewing deck on the ferry as well. 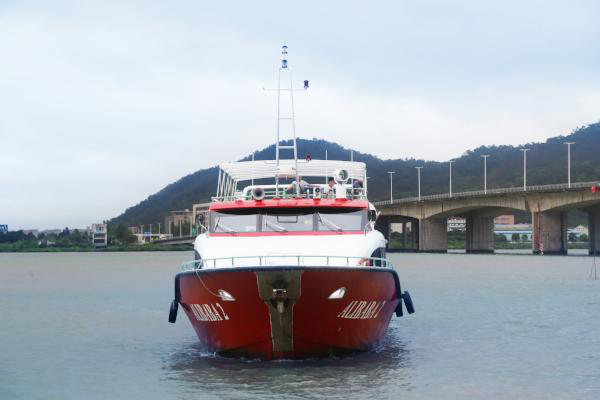 Rest assured travellers are in good hands as this Pulau Ketam ferry company have proper marine monitoring systems on board and has been certified by the Marine Department Malaysia (Jabatan Laut Malaysia). Ferry to Pulau Ketam and Sungai Lima from Port Klang can be booked on Easybook at any time and place as long as there is internet connection on the laptop or mobile phone. Follow this simple booking guide we have prepared to receive the booking summary in the email inbox without having to leave the chair. Search for the ferry schedule that best suits the trip and we look forward to completing your journey with Alibaba Pulau Ketam Cruises!